Brno, Czech Republic, September 2009. 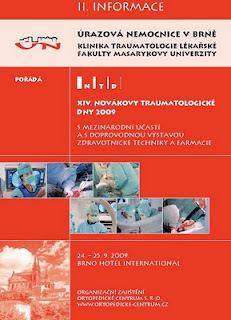 Professor Fridén was invited speaker at the Czech Traumatology Annual meeting with topics "Muscle Architecture and Mechanics" and "Reconstruction of Hand Function in Tetraplegia". The importance of establishing national centers in Tetraplegia Hand Surgery was discussed.